In the context of the Romanian Presidency of the Council of the European Union, the informal meeting of ministers and state secretaries for European affairs from the Member States of the European Union (informal meeting of the General Affairs Council) will take place on March 11-12, 2019. The event will be held in Bucharest, in the Palace of the National Bank of Romania (NBR). It will be hosted and chaired by Minister Delegate for European Affairs George Ciamba. The informal meeting will enjoy the participation of ministers and state secretaries for European affairs from the EU Member States, Frans Timmermans, the European Commission First Vice-President for Better Regulation, Interinstitutional Relations, the Rule of Law and the Charter of Fundamental Rights, Günther Oettinger, Commissioner for Budget and Human Resources, and several representatives of the General Secretariat of the Council. On the margins of the meeting, on March 11, 2019, the Romanian Presidency of the Council of the EU will organise at the National Museum of Art of Romania an informal meeting attended by representatives of the candidate countries (Albania, the Republic of North Macedonia, Montenegro, Serbia and Turkey). On Tuesday, March 12, 2019, the informal meeting of ministers and state secretaries for European affairs will include a debate on the Multiannual Financial Framework 2021-2027, a topical EU file and also a flagship file for the Romanian Presidency of the Council of the European Union. The second working session will focus on the future of Europe, emphasising the key priorities that should guide the activity of the Union for the next five years, in preparation of the new EU Strategic Agenda. The future multiannual budget of the EU shall have to provide the Union with the necessary resources for reaching its objectives for the next seven years, while striking a balance between the policies generating growth and convergence and the need to respond to the new challenges. At the Bucharest meeting, the ministers and state secretaries for European affairs together with the representatives of the European institutions will debate on the future Multiannual Financial Framework 2021-2027, with the aim of contributing to stimulating the timely advancement of the negotiations, in accordance with the European Council conclusions of December 2018. The objective of the Romanian Presidency of the Council of the EU is to continue such discussions at a dynamic pace, with a view to facilitating a political agreement in this file in the autumn of 2019. The Bucharest debates are intended to offer the adequate framework for a comprehensive reflection on the key priorities that should be reflected in the definition of the Union’s strategic priorities for the next five years, building on the outcomes of implementing the Strategic Agenda for the Union of June 2014. The talks in Bucharest are particularly welcomed in view of the debates that will take place in the informal Summit that Romania will host in Sibiu on May 9, 2019, in preparation of the adoption, at the European Council of June 2019, of the fundamental directions of the future EU Strategic Agenda for 2019-2024, corresponding to the new institutional cycle after the European elections of May 2019. The objective of the Romanian Presidency of the Council of the EU is to create the preconditions required for continuing to develop the European project in an inclusive, unitary, consensual and result-oriented way, through the collective action of the Member States and the European institutions. 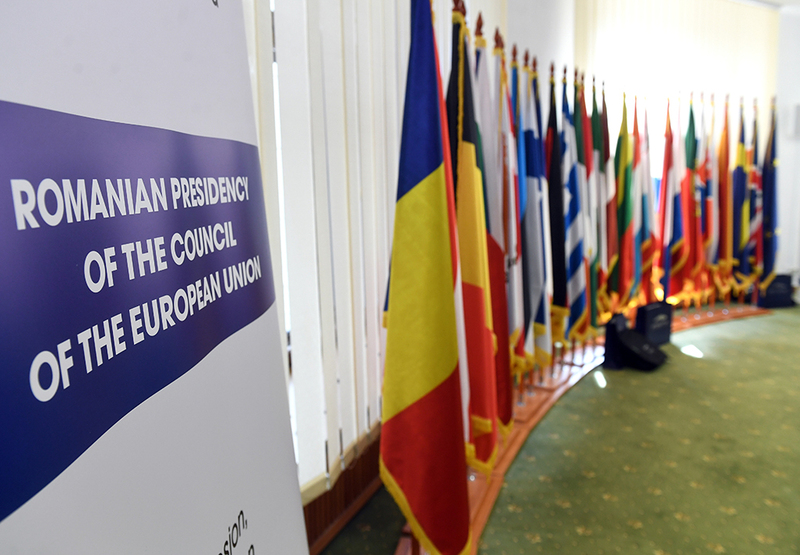 Access of the journalists to the informal meeting of ministers and state secretaries for European affairs is allowed exclusively based on the press accreditation to be acquired on the website of the Romanian Presidency of the Council of the European Union: https://accreditation.romania2019.eu/. On March 11, 2019, the accreditation badges can be collected exclusively from the Palace of the Parliament – Accreditation Centre of the Romanian Presidency of the Council of the EU, located at the S2 entrance (Bucharest, no. 2-4 Izvor Street), between 7:30 – 17:00 hrs. On March 12, 2019, the accreditation badges can be collected from the Palace of the National Bank of Romania – Accreditation Centre, located at no. 8 Doamnei Street, Sector 3 (ground floor). To collect the accreditation badges, you are required to show the accreditation approval and your ID card or passport. Throughout the event, the Press Centre at the Palace of the National Bank of Romania will be located at no. 8 Doamnei Street, Sector 3 (ground floor). Journalists may enter the building exclusively through the entrance from no. 8 Doamnei Street. Informal minister meetings are a common practice of every Council Presidency and they serve the purpose of ensuring the adequate framework for a collective reflection and an opinion exchange on topics of interest at European and international levels. 11.15-11.30 Joint press point – Romanian Minister Delegate for European Affairs, George Ciamba, and Commissioner for Budget and Human Resources Günther Oettinger, on the Multiannual Financial Framework (Mitiță Constantienscu hall). The accredited journalists who wish to be included in the Pool sessions are required to send their option (Pool number and day) by 9.03.2019 by email at scp@mae.ro. Access to the Pool media events is limited in point of number of journalists, we therefore apply the first come, first served principle. In their selection of the Pool sessions, journalists are kindly required to consider the brief time between the press events as well as the distance between the media locations. Additional information on the media programme, accreditation, the press centre and other useful data is available in the MEDIA GUIDEBOOK of the event.